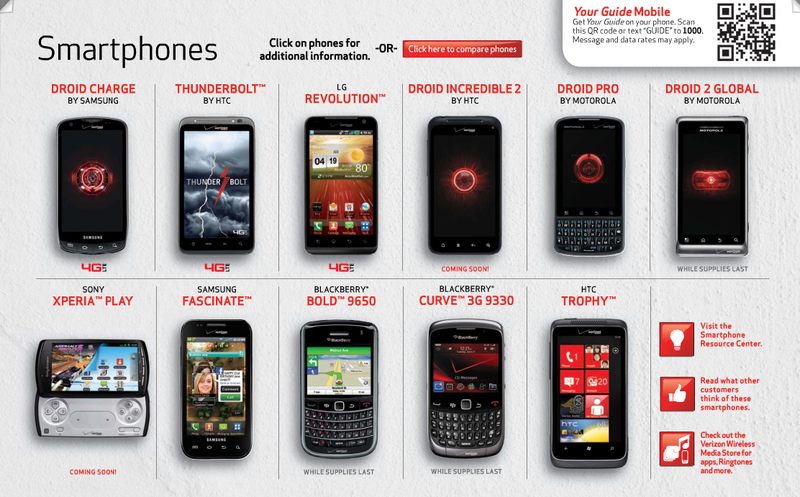 Verizon released their Spring/Summer 2011 guide today and for some reason, the DROIDX2 and Bionic are no where to be found. The LG Revolution and DROID Charge are featured as “Coming soon!”, but our first two dual-core brothers are missing and we’re wondering why. 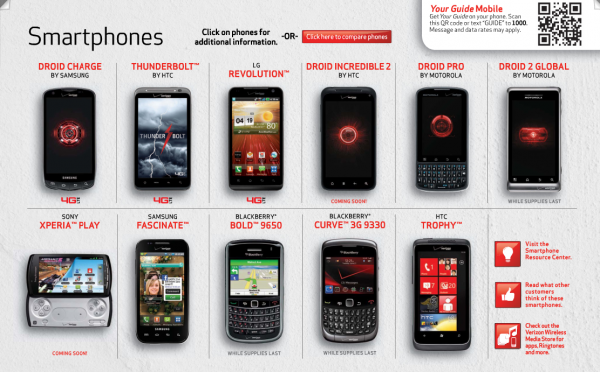 The HTC Trophy, aka the first WP7 VZW device, is there with the Xperia PLAY, but again, no dual-core beasts. Should we now assume that the DX2 won’t be here next Thursday and we might be seeing the LG Revolution by itself instead? Looking pretty likely at this point. Oh, and we heard another confirmation on the Xperia PLAY launching the 26th, so we’re at least good there. *Note – I didn’t think about this initially, but we should have included the DROID3 in that title. No mention of it either. Bang Bang Racing THD Headed to Tegra Zone and Android Devices Tomorrow?